High quality belt to ensure your safety. Made of high strength polyester, very strong and durable, better wear resistance and can bear weight. Harness construction with metal buckle distributes pressure to keep you comfortable while climbing. There is an equipment ring on the left, so some small items can be suspended and easy to use. 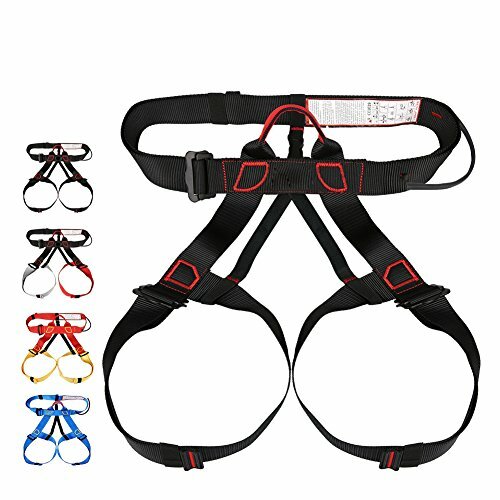 Protect waist and quick-adjust leg loops, professional for adult rock climbing and aerial work.